Who knew that Oscar Wilde would have a good thought for a sermon? 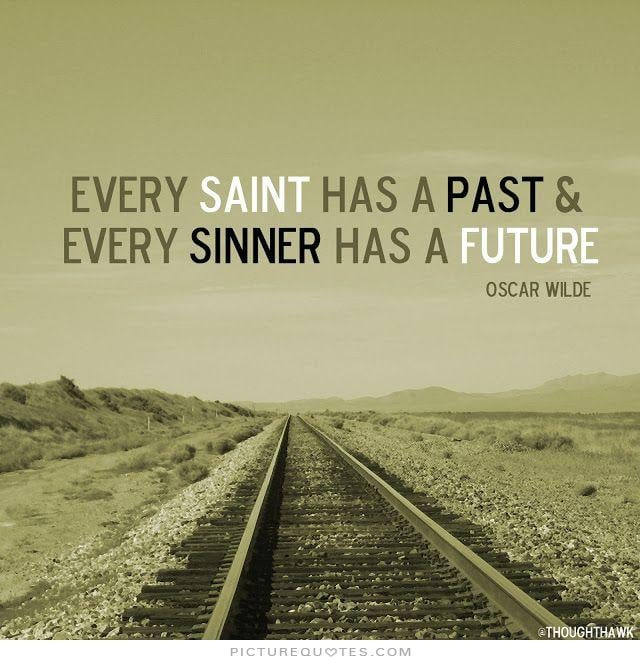 He once said, "Every saint has a past, and every sinner has a future." All of us Christians have a faith story to tell that testifies how we move from death unto life. The proof that Jesus is real is in our stories. Continuing last week's assignment of listening to others, this week's work of Christmas is to consider our testimony. How has Christ changed us? Some of us can talk of drastic change like Paul or Mary Magdalene. So much of what we know about Mary is speculation, but the Bible does tell us that she was freed from a stranglehold of demons. Jesus' love was more powerful than any treatment imaginable. And then consider her life's testimony: she stayed with Jesus until the end, even when others were no where to be found. A less spectacular story, what about Andrew? He was looking for the Messiah from the beginning, and as he matured, so did his faith. He wound up taking the Gospel as far as the Ukraine until he was crucified on a cross. James, the brother of Jesus, refused to believe that Jesus was who He said He was, until a personal encounter with the Risen Christ.